Throw a unique and memorable party without the stress or the mess! Looking for something fun, fresh, & creative for your next party? We've got you covered. Art parties are perfect to celebrate any occasion: a birthday party, team-building art party, club events, girls' night outs, fundraising events, and so much more. At the end of each event, every participant takes home a valuable souvenir they created themselves! In our art parties, our instructors will take you step-by-step through creating your own work of art. Choose from an existing project in our gallery, or let us know the theme and we'll customize the project to match your party. 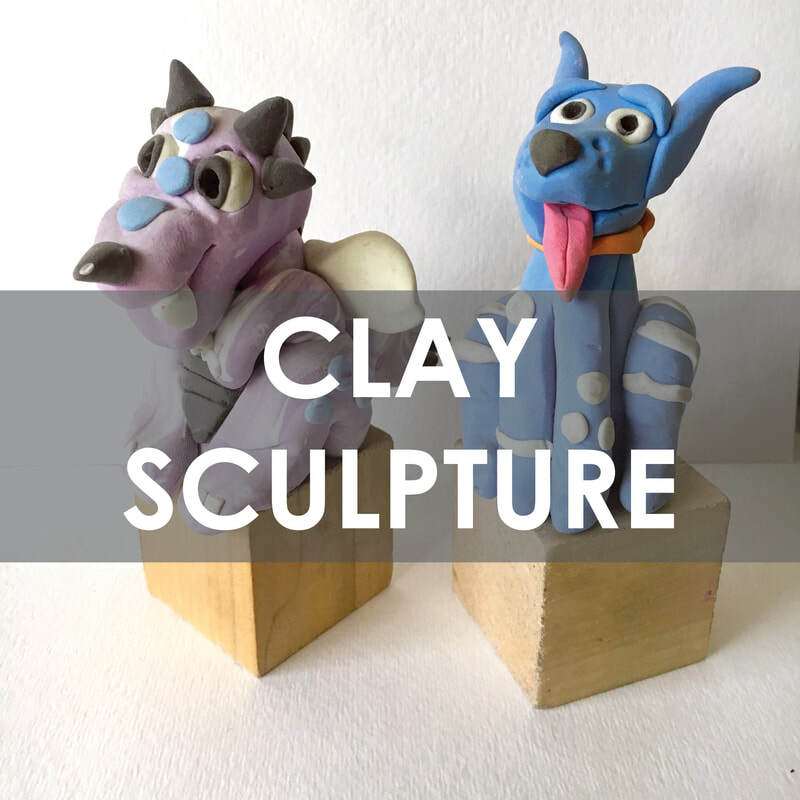 Art parties for kids emphasize creativity and fun, while providing a memorable experience for your event or celebration. 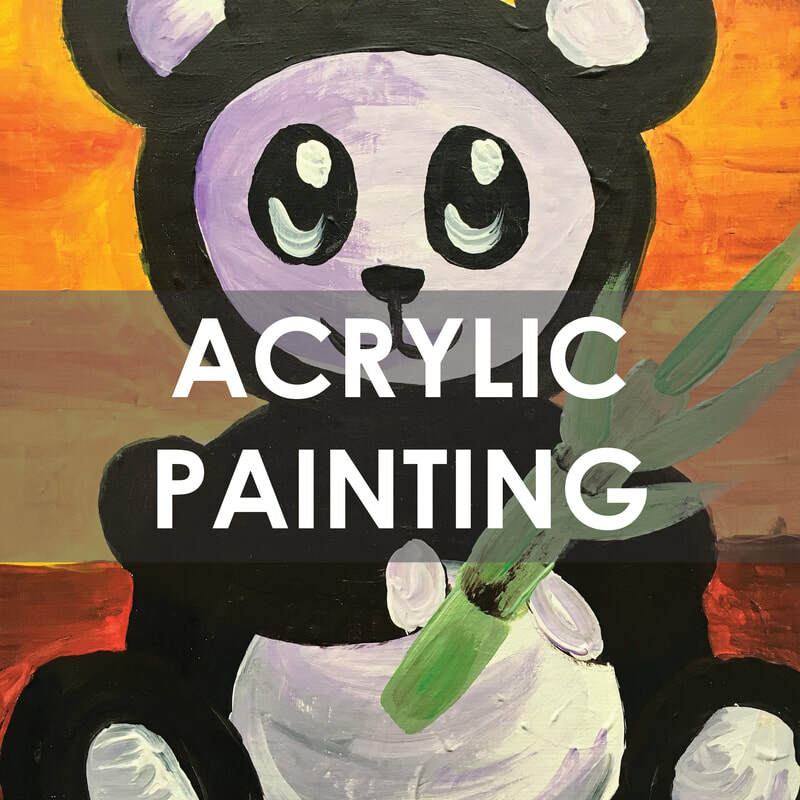 Party packages include 60 minutes instructor-guided art project and 30 minutes rental of separate party room to continue the fun after your art has been completed. Decorate the party room however you like and feel free to bring in your party food and drink of choice! There are three different project types that you can choose from, customized to your liking--click on types below for more info and examples. ​Please note: As the host, you may arrive as early as 30 minutes prior to your party time to set up. You may want to encourage your guests to arrive 10-15 minutes early so that the group project can start on time with the majority of your guests present. **Price includes a $100 deposit to hold your date. Remainder of payment will be made on the day of the party. 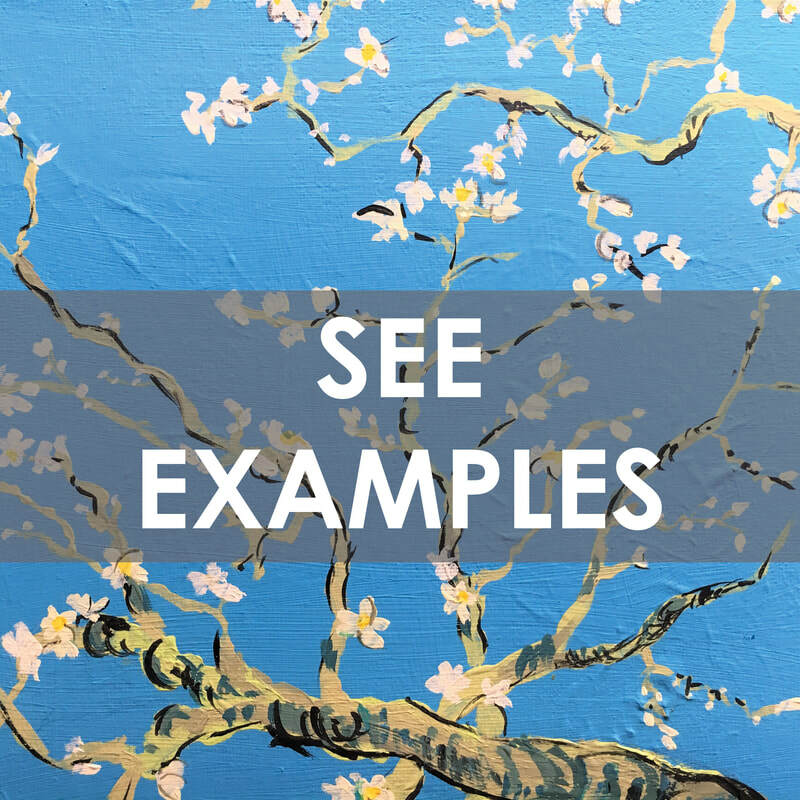 Click "see examples" below to view painting options, or choose your own! *If you wish to bring beer or wine for an event in which all attendees are 21 years of age or older, please click here to obtain the necessary banquet permit. It’s quick, easy and just $10. Interested in booking Museo Art Academy for your next Team-Building Event? View our Corporate Event Options here.